With more than ten years experience in urban development and transportation, Wang Wei is an alumnus from the Master of Science in Transport and Logistics programme and is currently leading a team involved in planning Singapore’s land use usage. In this interview, Wang Wei shares his thoughts on the land development scene in Singapore. Hi Wang Wei, can you tell us more about yourself? Wang Wei: Servus everyone. I graduated from the Transport and Logistics programme in 2012, specialising in Transportation. In my free time, I love travel and photography – in particular, landscape and street photography. What sparked your interest in Transportation? Wang Wei: Playing with LEGO while growing up made me really fascinated about the city and how it worked. It was interesting to observe the public bus system, noting how they ferry people around and made the city work. Naturally, I developed an interest in urban planning during my undergraduate studies. My lecturer back then had shared a lot from the Swiss-German approach to public transport planning, and this formed the basis of my decision to pursue a master’s degree in Transport and Logistics at a German university. What impacted you during your study at TUM Asia? 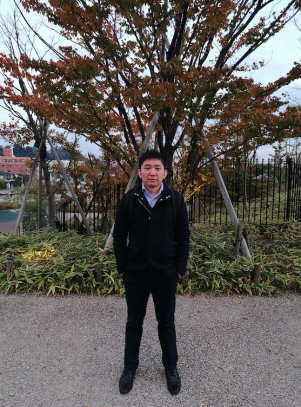 Wang Wei: What impacted me was being able to receive insights not only into the German approach to transport planning, but also being exposed to a different pedagogical approach to learning science and engineering. I really enjoyed taking lessons on public transport planning, picking up design principles for railway tracks, and understanding how best to layout an airport. Not to forget, I have made some close friends along the way, whom I still keep in contact with. What is your role and responsibilities at Urban Redevelopment Authority (URA)? Wang Wei: I am currently the Director of the Physical Planning (Northeast) department. As part of my role, I oversee the land use planning for a few key towns in the northeast of Singapore, such as Punggol, Ang Mo Kio and Serangoon, as well as other places such as Seletar and Pulau Ubin. Share with us an interesting development project that you have been working on recently. Wang Wei: I am part of a larger team working on the master plan for the Punggol Digital District, unveiled in January 2018. This project is several years in the making and will see the development of a new business park located side-by-side the new permanent campus of Singapore Institute of Technology, set within the residential heartland of Singapore. What really excites me about the master plan is how we could push the boundaries in integrated transport, land use planning, and land use policy. This is the first business park that will be integrated with a hawker centre, a bus interchange and a community club, with a new MRT station located underground. With your years of experience in urban planning, what are your thoughts about the evolvement of the land development scene in Singapore? Wang Wei: One aspect I have noticed is how the rise of big data, data analytics and smart systems are linked with urban planning and development. There are some real issues that we will need to navigate, for instance, data protection. But there are also opportunities that come with the rise of these digital tools. As such, the question is, how can we best harness such technologies to guide city development and transport systems? It is something that we will have to continue to work at. As Singapore moves towards building a Smart City, what do you think are some exciting prospects in the Transport & Logistics industry that engineers can look forward to? Wang Wei: I believe that there is much that our engineers can look forward to, not only for Singapore but also globally. With a Smart City, you will need engineers who can not only navigate the foundational aspects of city building, but who can do so with the integration of digital and smart technology. This opens new avenues for engineers to go into, be it smart infrastructure design, big data analytics or new ways of transport planning. Lastly, what is your personal career goal in the near future? 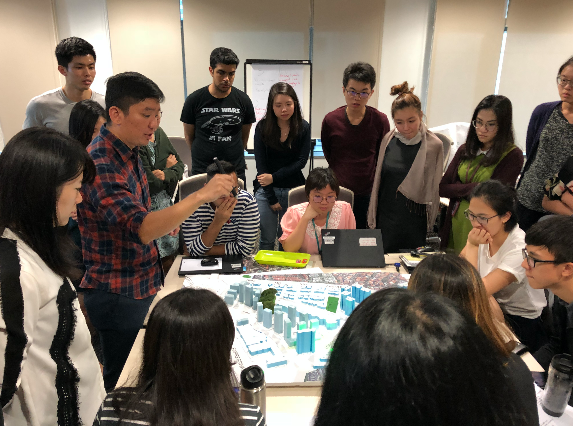 Wang Wei: It is definitely to continue to gain mastery over urban and transport planning, and more specifically, looking at the nexus of these two interrelated fields and how they impact each other.